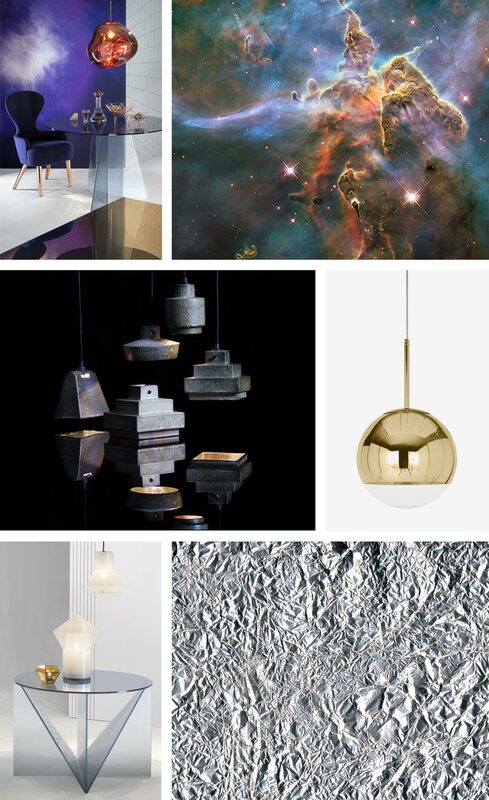 Step into the space-age with mirror balls, iridescent pendants and everyone’s favourite British staple brand, Tom Dixon. The mystery of space is something that compels and fascinates us all, with the beauty of what lies beyond our planet continuing to be a major source of inspiration in the design world. 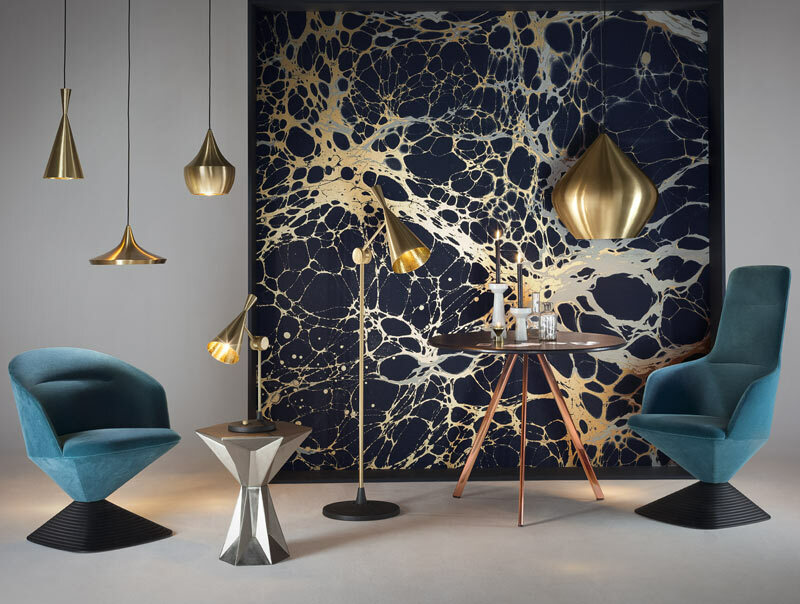 Oxidised metals, reflective finishes and rich, cool tones are just some of the influences that constitute the 'space-age' style, with Tom Dixon being right at the forefront. 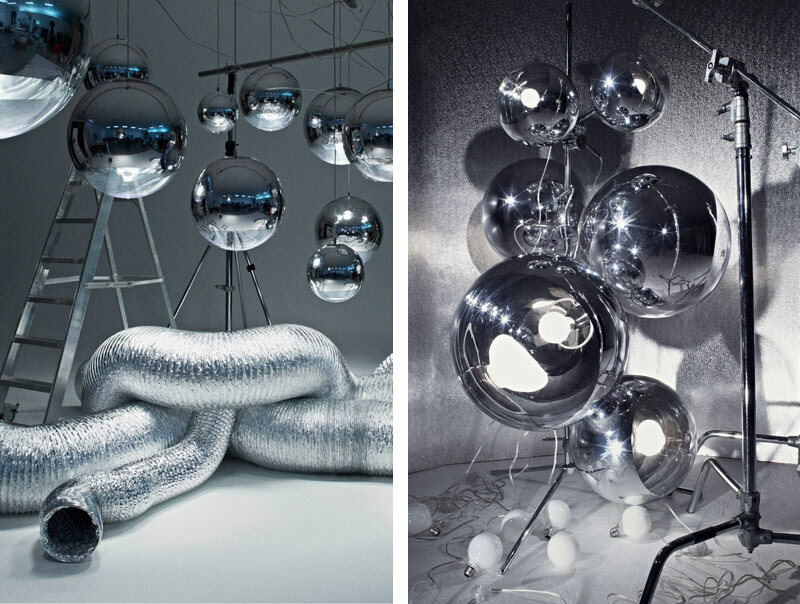 Tom Dixon is the epitome of space-age influences. Pictured L-R: The Wingback Chair, Melt Pendant Light and The Lustre lighting collection / The Mirror Ball Pendant Light Gold / Tom Dixon Trace Short Pendant Light. With an almost eccentric appeal, Tom Dixon's designs are recognised for their unique, lustrous qualities, each telling a different story through origin, materials and production methods. Dixon's keen interest in engineering and experimenting with the shape and texture of raw materials has led to many world-renowned designs such as the Beat Light, Melt Pendant Light and Copper Shade Light. Hand-beaten by skilled craftsmen in India, the Beat Light is inspired by the sculptural simplicity of traditional brass cooking pots and water vessels. We love the furniture and we love the accessories, but Tom Dixon’s lighting truly sets itself apart. The ultimate statement piece, the Mirror Ball is one of Tom Dixon's most celebrated lighting designs and it's easy to see why. 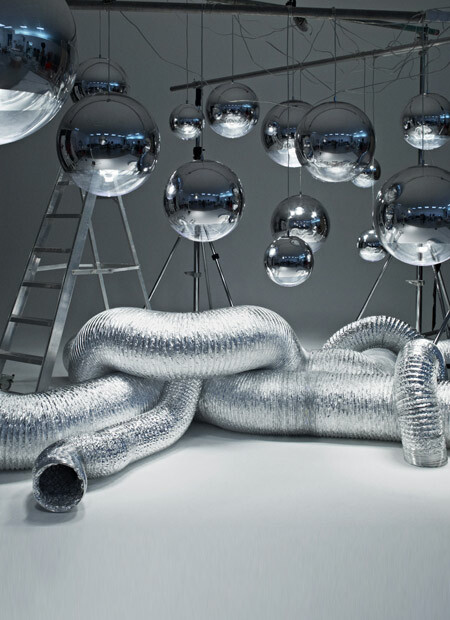 The Mirror Ball is inspired by space helmets and disco balls. Designed back in 2003, the original Mirror Ball Pendant Light has since been developed into a Mini Pendant Light, 2 Floor Lamps and a Gold Pendant Light edition. Its spherical, shiny facade creates a warped yet clear reflection, giving an abstract view of the whole room. This smooth finish is created by exploding a thin layer of pure metal onto the internal surface of a polycarbonate globe, resulting in the chameleon-like quality and ‘space helmet’ form we know and love. Excerpt from Tom Dixon’s ‘Dixonary’. The exceptional way in which the Mirror Ball is produced makes it virtually impossible to copy, which is why you can clearly distinguish the authentic original from a replica of lesser-quality. 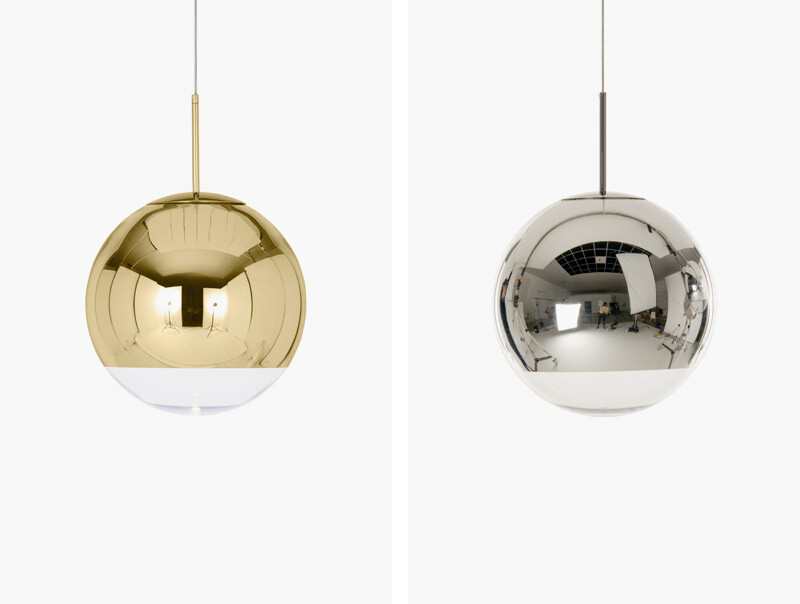 The Mirror Ball Pendant Light in its newer gold finish and the original. 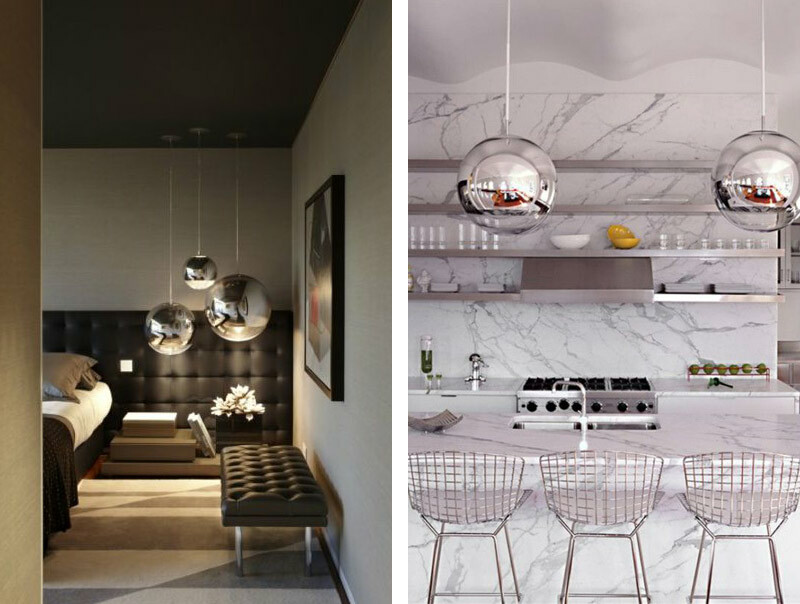 The Mirror Ball might be a stand-out piece, but this doesn't mean that you need an extravagant interior to pull it off. The pendant light would look the part in both a minimal home office or a cosy kitchen, complemented with similar metallic accessories or taking centre stage on its own. It’s the ideal pendant light to hang above a dining table, as it emits light only in a downwards direction, creating an atmospheric and gentle level of illumination. The Mirror Ball is available in 4 different sizes – 25cm, 40cm and 50cm diameter and projects a soft, ambient light. Credits: 1 / 2. Designs that can stand out as well as complement the surroundings – a sign of a true design classic. Love at first sight? Shop the Mirror Ball today, or get in touch with us for more information by emailing info@nest.co.uk, calling 0114 243 3000 or messaging us on Live Chat. If you’re a fan of all things space-age or Tom Dixon and you’re based in London, then you might want to check out the following places. Designed by Stevie Parle with Tom Dixon, Craft London is a restaurant, café, cocktail bar and shop located in the Greenwich Peninsula, offering stunning views over the city landscape. Craft London (above) and the Mondrian London Hotel (below). 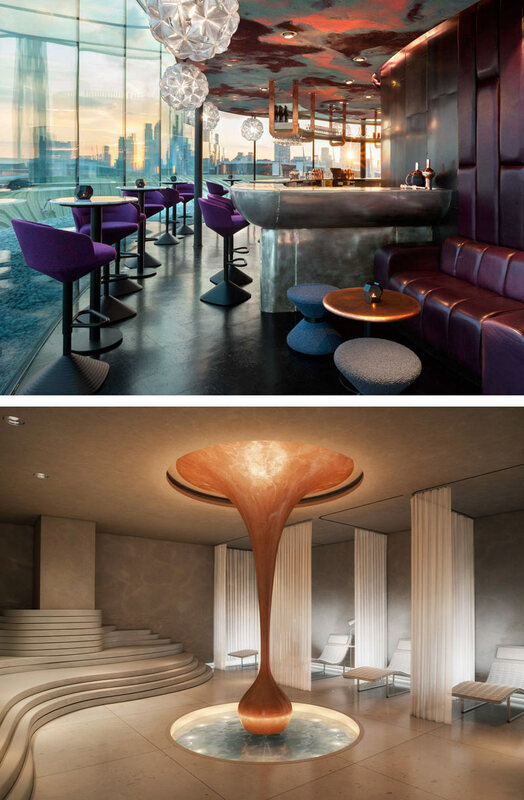 For a longer-stay experience, the Mondrian London Hotel designed by Tom Dixon’s Design Research Studio offers comfort, luxury and extravagance in one. Unique apartments designed by Tom Dixon’s Design Research Studio in the No.2 at Upper Riverside. 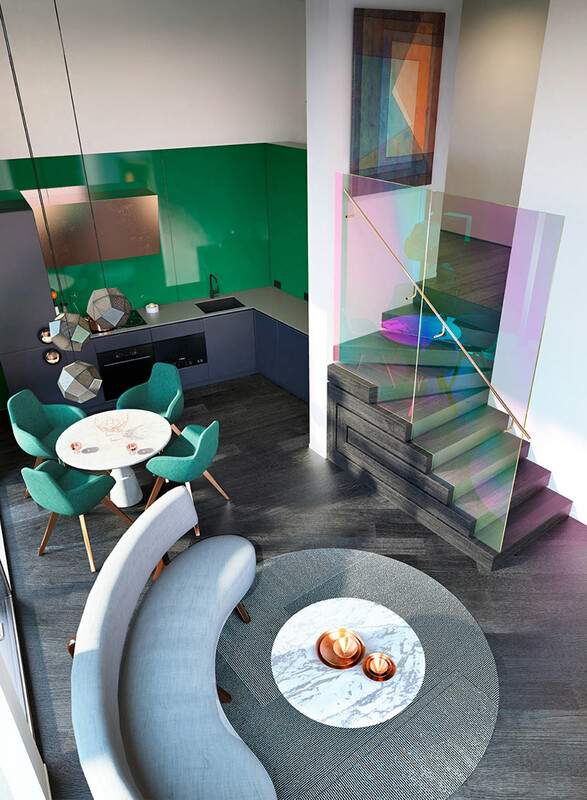 If you just want to make yourself envious (like us), then you can lust over these stunning apartments designed by Tom Dixon’s Design Research Studio. Dichroic glass never looked so good. Shop Tom Dixon today, or get in touch with us for more information by emailing info@nest.co.uk, calling 0114 243 3000 or messaging us on Live Chat.